The Mercury, or Winged Liberty, dime was minted between 1916 and 1945. Designed by Adolph Weinman, using the same model he employed for his classic Walking Liberty Half dollar design, the Mercury Dime stands as one of the most recognizable and iconic coin designs in history. 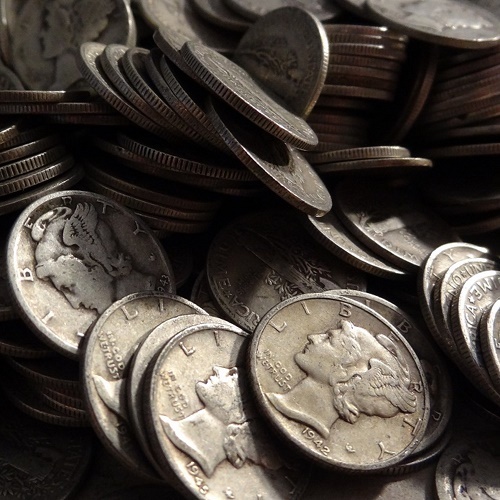 “Mercs” offered here are in “average circulated” condition and are expected to conform to the industry standard of 71.5 troy ounces of silver per $100 in face value (0.0715 oz per coin).